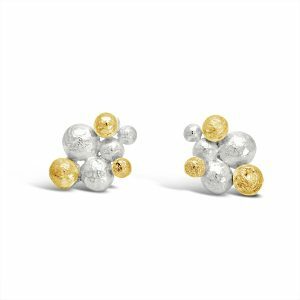 View basket “Gold Silver Nugget Studs” has been added to your basket. 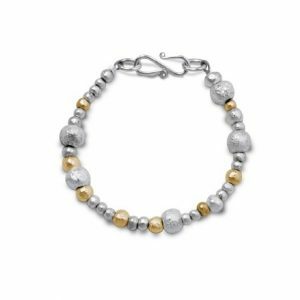 Random Silver and Gold Nugget Necklace made from individually handmade solid silver and gold beads. There is a choice of 8mm as the largest bead (pictured) or 6mm. 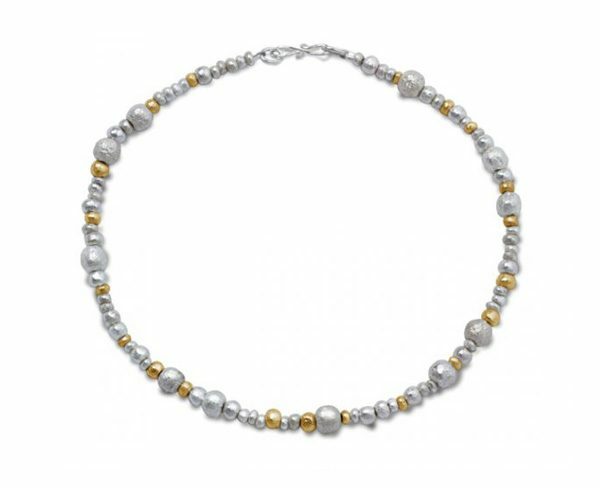 The standard length for this necklace is 16″ if you would like it longer then please specify on ordering, this will be charged pro-rata.